OzTorah » Blog Archive » Chatan or Chotem Torah? 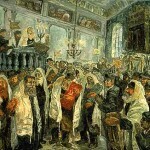 The moment we end the Torah on Simchat Torah, we start it all over again. This cyclical tradition is behind the idea of having both a Chatan Torah who finishes the reading and a Chatan B’reshit who recommences it. 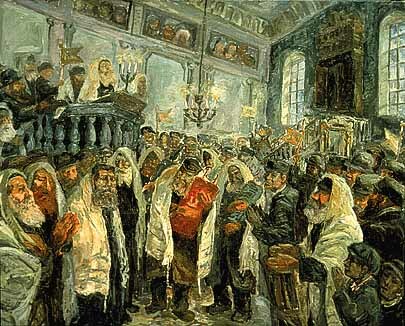 There is a view that the term Chatan (“Bridegroom of the”) Torah was originally Chotem (“Concluder of the”) Torah. If this is true, the term Chotem was extended to the Chatan B‘reshit, though in his case it is quite inappropriate. If the conventional Chatan is correct, it suggests that whoever has either of these festival roles embraces it with all his heart. Applying the idea of a marital embrace is a well-known metaphor in many areas of Jewish life. God and Israel embrace each other at Mount Sinai. Male and female cherubim embrace on the Ark cover of the Tabernacle. Everything a Jew does ought to show deep and genuine love for Jewish identity and duty. Whenever there is a temporary estrangement from Judaism, it is always possible to find one’s way back. WordPress generated this page with 31 queries, in 0.230 seconds.